Not all home alarm systems are legit and this is especially imperative as it’s for home security. It is important to have a smooth operating home security system to ensure you and your family’s safety. Great home security systems should have specific features that really make them stand out. 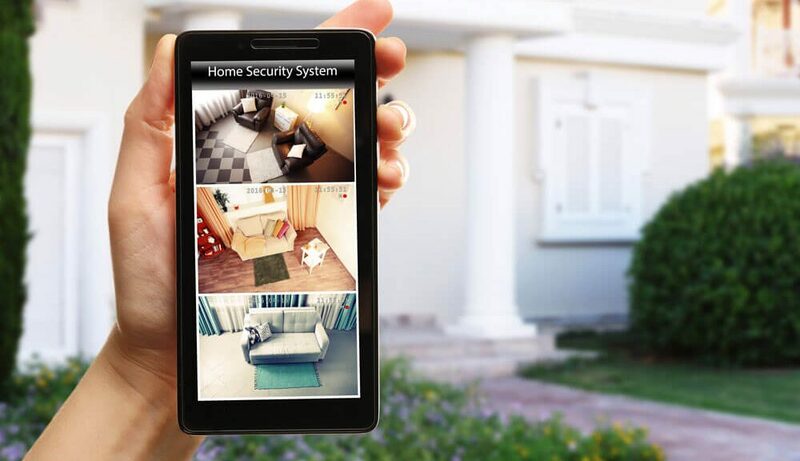 There are many forms of home security including CCTVs, Intruder Alarms, and Door entry Systems. And in this article we discuss Features of a Good Home Security System. Keeping tabs on your home is essential just so you can always ensure your home is safe while you are away. Having a solid Home Security System is essential to guarantee safety; the good quality ones should have certain features to help you keep watch over your home. Established Home Security should be able to connect to your home via Wi-Fi so you can control and watch over your home even while you are away. Through the use of your smartphone and an app. A good system should also have the option of adding extra components such as; Smoke detectors, Sirens, Door entry systems and more. Any quality Alarm System should offer Mobile and App Integration so you can be one step ahead of any unwanted guests. The system and Mobile and/or app should work together seamlessly making it easy for you to take action when needed. The mobile integration should allow you to disarm your alarm, delete or add certain features and receive notifications when the alarm is triggered at any given time. Established Alarm systems normally record live footage of the scene, therefore the app integration should allow you to view the footage in real time. Do-it-yourself home installation setups are ideal if you want to save money; they also include good features that you can be configured to suit your optimal needs. However, some do not integrate with Wi-Fi or work with a third party, this means calling the authorities when there is an intruder will be your responsibility, unlike quality systems whereby the authorities are contacted by a third party immediately when there is trouble. Professionally installed systems contain integration with Wi-Fi as well as co-operation with a third party. They should contain sensors in and around the house and detectors. Direct alerts to the authorities or fire department are offered just to make your home that little bit safer. They contain a well-designed, easy to use app, and a lot more to help you keep track on your house. However, this does not come cheap, but if you want your home to be fully covered and intruder proof then it just might be worth it.